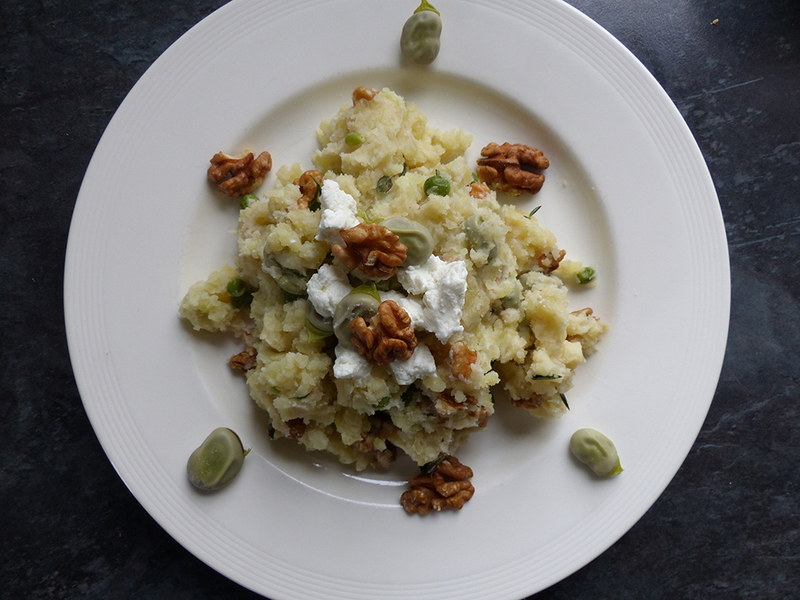 Sorry, another mashed potato dish... Broad beans are in season from the end of May. Broad beans are high in potassium and protein and you can use cooked broad beans in salads, pasta dishes or omelettes. Broad beans are pretty versatile. Boil the potatoes for around 20 minutes. In a separate pan boil the broad beans for 5 minutes until just tender. Keep warm with 2tbsp of the olive oil. Roughly chop the walnuts and crumble the goat’s cheese. Drain the potatoes and mash with the rest of the olive oil. Gently mix in the honey, broad beans, thyme and goat’s cheese. Mix in half the walnuts. Serve with the rest of the walnuts sprinkled on top.